Our compatible HP PageWide Enterprise color 556dn ink cartridges are a cost-effective alternative to genuine HP cartridges without sacrificing print quality. 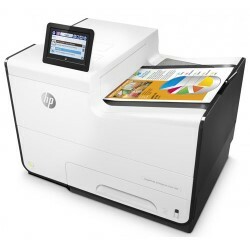 Our HP ink cartridges are designed to integrate seamlessly with your printer and provide a worry-free printing experience. During our manufacturing process, these discount ink cartridges for HP PageWide Enterprise color 556dn printers are tested for print quality and performance. We offer a 1-Year warranty, 100% customer satisfaction guarantee, and lifetime customer support with every purchase. Our warranty covers every aspect of the cartridge including print quality and page-yield, as well as guaranteed compatibility with your printer. Buy with confidence knowing that we stand 100% behind our products.